Jamie Reichelt started as an intern with JFS in 2015 in Village by the Shore and the Intake department. Within JFS, Jamie worked as a Job Coach and Care Coordinator before her most recent promotion in April 2018 to Care Supervisor within Village by the Shore. In this role, she works one-on-one with members as well as manages the care coordination staff, Social Service Liaisons and the Congregate Housing Services program. She oversees a talented team who all work with older adults to help them age independently and safely in the home. Jamie found her passion for assisting older adults when interning at a local hospice agency. A devoted social worker, she is also a strong advocate of individuals with mental illness. Jamie earned her Master’s in Social Work (MSW) from Stockton University and is currently working toward a LSCW. She is a member of the National Association of Social Workers and serves on the agency’s Safety Committee. 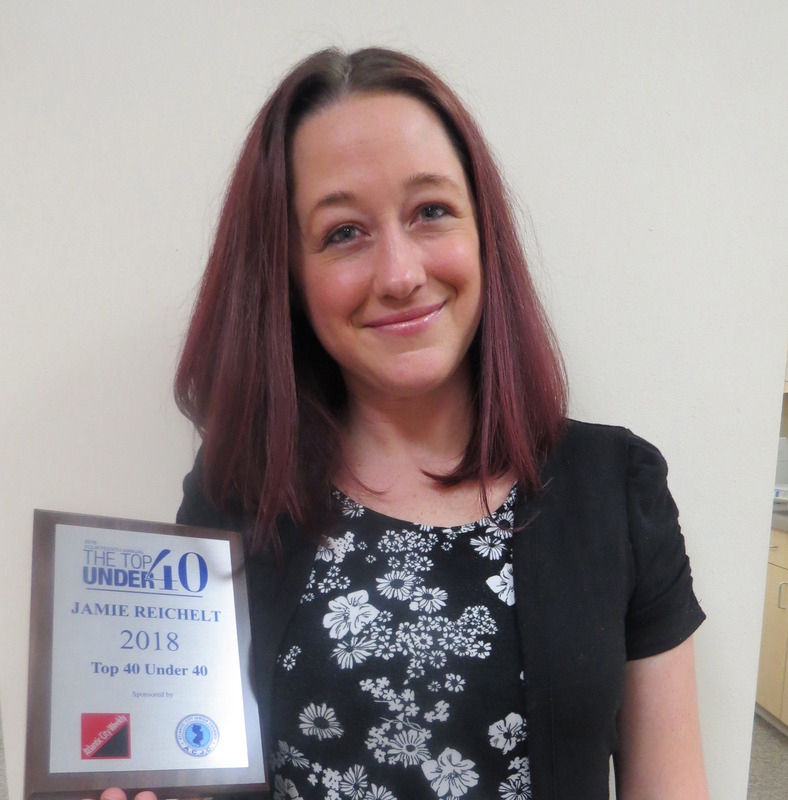 Jamie was named AC Weekly’s Top 40 Under 40 in April 2018 and was awarded the JFS Emerging Professionals Award in 2017 by her coworkers. In her free time, Jamie enjoys volunteering, camping, meditating, going to concerts and spending time with family and friends.